VALLEY STREAM, New York (WABC) -- An alleged case of road rage resulted in a crash and multiple criminal charges for one Long Island man. Authorities say 26-year-old Daniel Longo, of West Babylon, was arrested on Tuesday after crashing his 1999 Hyundai Tiburon. 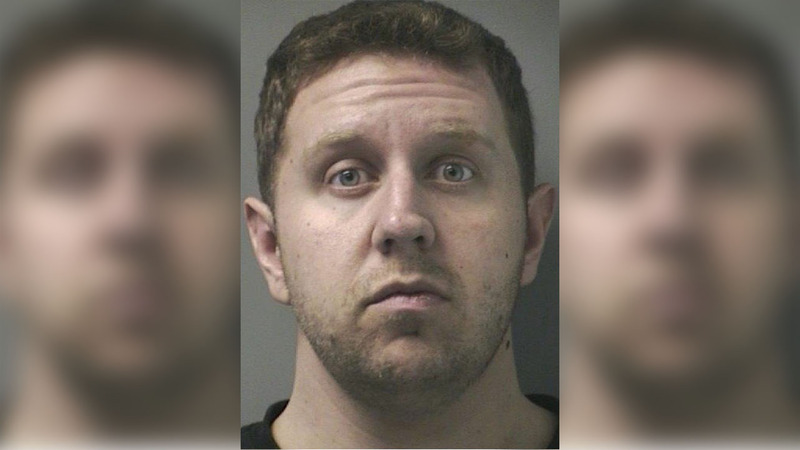 According to Valley Stream police, a 35-year-old man was driving westbound on the Southern State Parkway near exit 13 when his car was tapped multiple times by another vehicle driven by Longo. When the victim exited the parkway, police say Longo pulled alongside his car and pointed a black handgun at him. When the victim drove off in fear, Longo allegedly followed. The victim noticed a Nassau County police officer at the intersection of West Merrick Road and South Franklin Avenue in Valley Stream and was able to report the ongoing incident, and the officer attempted to pull over Longo. When he refused to stop, a chase ensued. It came to an end at the intersection of Merrick Road and Henry Street in Freeport, where police say Longo drove through a red light and collided into two vehicles. There were no reported injuries to the victims' involved in the collision, and a black handgun was recovered inside the automobile. Police say Longo and the victim did not know each other. Longo is charged with two counts of second-degree menacing, fourth-degree possession of a weapon, reckless driving and several other vehicle traffic law violations.